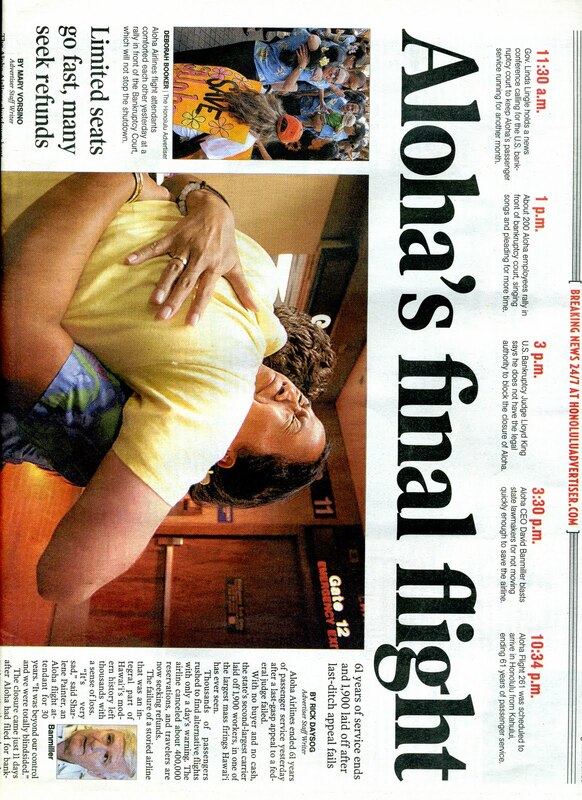 About two years ago, I was waiting Aloha Air Line at Hilo Air Port to go back to Honolulu. I felt little bit strange air around there. Staffs said Thank you! 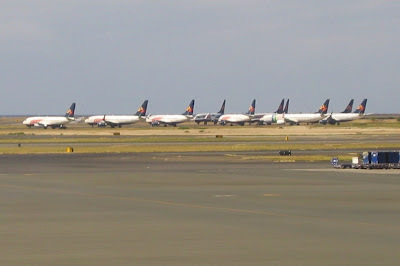 so many time, and crew, plane staffs and ground staffs were reluctant to leave each other. 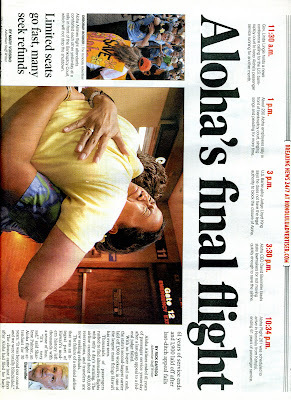 I knew later it was the last day of Aloha Air. I did not watch TV(I haven't) and news paper, it was not strange to unknown about it even so it was a bolt from the blue. Tickets of after this could not be refunded. 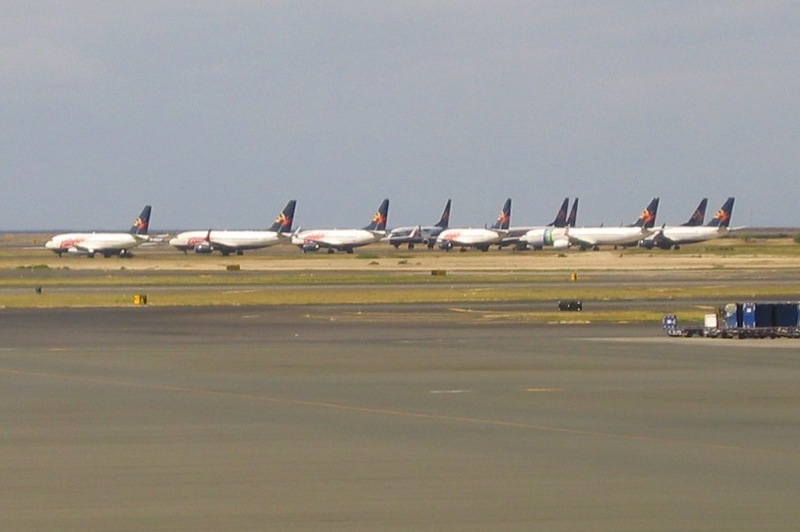 Two days after when I left Honolulu Air Port there were no Aloha Plane around the terminal building, but dumped all together at the edge of the air port. I always used Aloha it was very sad scene indeed. Recently Air Line make topics so many time, cancel frights by volcanic ashes of Ireland or Japan Air Line, I remember this episode.